However, submitting your sites to all the directories can be extremely time consuming and prove to be a very daunting task if done manually. Hence, weve created a software which will allow you to submit your sites to over 200 directories effortlessly - Directory Submitter Software. How would you like to give away this cool piece of software freely and create an avalanche of traffic to your websites and sales for your business? You can give the software away or you can even sell it and keep all the cash for yourself. You can even submit it to software download sites and let it be downloaded over and over again on autopilot mode. You may not know this but everyone loves FREE software. So you can be sure to keep your list of subscribers/customers/blog readers happy by giving away Directory Submitter Software. We have more good news, as we are lowering the price for the next 150 142 customers only! But you need to hurry! As the price will go up immediately after we sell the first 150 copies! And with such a no-brainer deal, you can be sure this price is NOT going to stay for long. Simply make your selection from one of the following options. 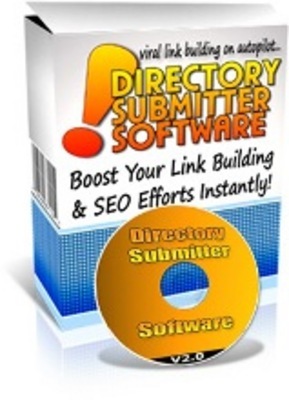 Youll get an instant download, and be using your Directory Submitter Software in mere minutes. PS: This is YOUR chance of turning your business completely viral and driving a TON of exposure and traffic to your websites. Can you imagine how much more profits you can make for your business? Heck! You can even get others to promote for you! So do not hesitate and act fast!